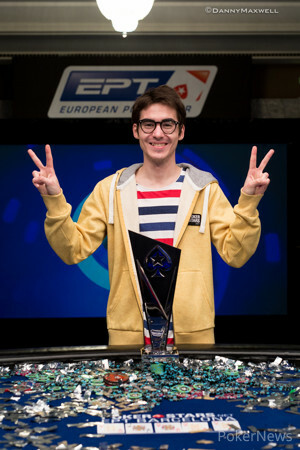 Sebastian Malec Wins 2016 PokerStars.es EPT Barcelona Main Event for €1,122,800! After a rollercoaster final day, Sebastian Malec has become the latest EPT Main Event champion in fine style in Barcelona, winning €1,122,800 after overcoming Uri Reichenstein heads-up in dramatic fashion. The final day featured seven players instead of six, thanks to Harcharan Dogra Dogra's late, late fold last night, but the only remaining Spanish player in the final field was first to bust. After finding no spots to make a move, Dogra Dogra was in the big blind when Thomas de Rooij raised to 450,000 from the cutoff. Down to six big blinds, he defended from the big blind. After seeing the flop, Dogra Dogra immediately went all in for 750,000, and De Rooij snap-called. After a on the turn, the on the river gave De Rooij a higher pair. The friendly restauranteur and local hero Dogra Dogra was 'out out' for a massive €230,950 payday. 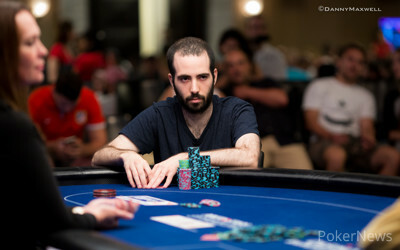 Very soon after Dogra Dogra's exit, Andreas Chalkiadakis was the next one to bust, earning €330,290. Chalkiadakis shoved all-in for 4,075,000 (20BB) with . Adam Owen held and reshoved all in. With no surprises on the board, Owen eliminated the Greek player in 6th place. It wasn't long before Zorlu Er joined Chalkiadakis on the rail. The Turkish player defended his big blind with after Uri Reichenstein raised to 400,000 on the button with . The flop of saw Reichenstein flop the flush, and after check-calling the flop, Er did the same on the turn, then called all in for his tournament life on the river. Er banked a massive €431,550 for his fifth place finish. The remaining players took a quick break to discuss a potential deal, but could not come to a satisfactory conclusion. After the busted dealbreaking, Thomas de Rooij was eliminated in fourth place. After a damaging hand against Adam Owen, De Rooij was down to just three big blinds when he shoved under the gun with . Uri Reichenstein looked him up with and flopped a pair of threes to knock out De Rooij. The Dutchman got a massive check of €535,100 for his fourth place, easily the biggest finish of his career. It was only a couple of minutes later before Adam Owen joined his rival on the rail. Sebastian Malec called with from the button, Uri Reichenstein called in the small blind with , and Adam Owen moved all in from the big blind with for 5.6m chips. Sebastian Malec moved all-in over the top to fold out Reichenstein, and Malec's ace-high held up to send Owen out of the door with €646,250. Sebastian Malec went into the heads-up with 21.35 million against Uri Reichenstein's 32 million, but the lead swung back and forth multiple times during an intense five-hour battle. At times, Reichenstein looked to be in control, then Malec would move himself back in contention with a series of plays which stepped outside the lines of convention. Twice, the Polish player hero-called on the river when ahead in chips, in a desperate attempt to end the duel with his name on the trophy. Each time, however, Reichenstein had the goods and got back into it. The stoic Reichenstein made a sharp contrast to the young and excited Malec, who stood up multiple times, calculating odds out loud and talking himself through every decision. After the hour-long grueling battle and the stacks dead even, it suddenly ended in one dramatic hand that will find its place in EPT history. Reichenstein turned a straight as Malec turned the flush and the EPT 'Selfie Moment' was born, Malec sitting on the rail to watch his opponent hand him the victory by making that fateful call. Sarah was table side after his win. Congratulations to Sebastian Malec from Poland, who outlasted the field of 1,785 players to become the biggest ever EPT Main Event's champion here in the beautiful Catalan city of Barcelona, Spain. We hope you enjoyed the coverage of EPT Barcelona by the PokerNews live reporting team and can't wait to bring you the next thrilling moment in live poker. Until next time! Hand #187: Malec limped with on the button and Reichensterin checked with . The flop of had something for both players, and Reichenstein bet 800,000 into the 1.4 million pot. Malec, unconcerned, raised to 3 million, and Reichenstein called. The on the turn was the absolute belly buster of all time. Reichenstein turned a straight, but Malec had the flush! It was an incredible card, and Malec danced from foot to foot in front of his opponent. Sebastian Malec bet 5 million and Reichenstein, with his straight, called. The river of saw Malec move all in within seconds. All he needed was the call and he would be the champion. "I think I got you covered, right? You never have a strong hand. Just fold and I can go to the bathroom." Malec was marching around, saying he wanted to go to the toilet...but he already had the flush! Reichenstein was trying to process the decision. Malec walked to the rail and sat watching Reichenstein ponder the call. Amazingly, as the crowd couldn't quite believe their eyes, a member of the audience took a selfie with Malec...and it was at that moment that Reichenstein called! Right at that moment, Sebastian Malec had won the EPT Main Event and Reichenstein, having turned the straight, made an agonising call to lose the tournament. In doing so, he gave the trophy to Poland's Sebastian Malec. Just before his rail embraced him, Uri Reichenstein shook his opponent's hand and the two men exchanged a truly touching moment, smiling at each other as the tension was broken. Reichenstein walked disconsolately away to his rail, while Sebastian Malec was surrounded, engulfed by his friends as his emotions took the better of him. 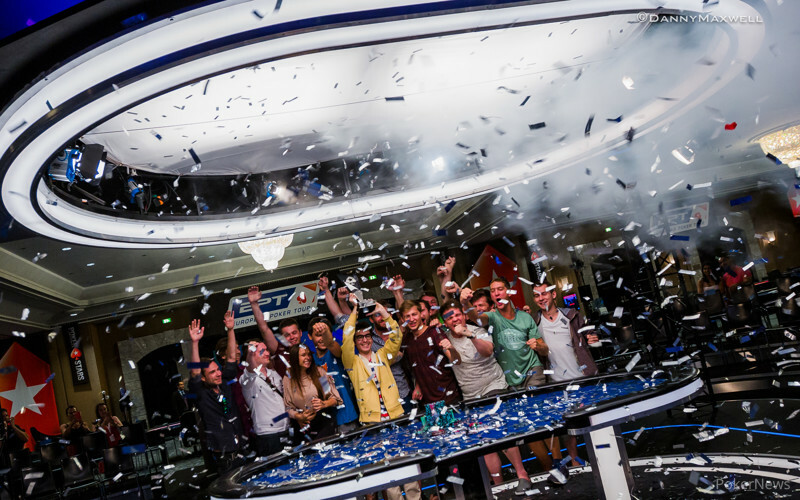 What an incredible way to win any tournament and maybe the ultimate way to win the EPT Barcelona Main Event! Hand #184: Reichenstein raised to 1,500,000 with and Malec defended with . Malec flopped huge on and checked to Reichenstein. The German continued with 1,300,000, Malec check-raised to 3,100,000, and Reichenstein folded. Hand #185: Malec raised to 2,400,000 with and Reichenstein defended . The flop came and both players quickly checked, as well as on the turn. The river was the , Reichenstein checked and Malec checked as well to win. Hand #186: Reichenstein flopped a pair of aces and took the hand down with a continuation bet. Hand #176: Uri Reichenstein raised to 1,500,000 and took it down. Hand #177: Sebastian Malec raised to 2,000,000 with and Reichenstein three-bet to 5,800,000 with . Malec quickly folded. Hand #178: Reichenstein picked up pocket aces. Unfortunately for him, Malec folded to a single raise. Hand #179: Malec raised to 1,400,000 with . Reichenstein three-bet to 4,200,000 with and Malec quickly folded. Hand #180: Malec got a walk. Hand #181: Malec raises to 1,500,000 with and took it down. Hand #182: Reichenstein raised to 1,500,000 with and Malec three-bet to 3,500,000. Reichenstein quickly folded. Hand #183: Malec raised with and took it down with a continuation bet after the flop. Hand #169: Malec moved all in with and Reichenstein had so quickly folded. Hand #170: Reichenstein raised to 1.3m from the button with and took it down. Hand #175: for Malec on the button leads to a limp and Reichenstein checks with to see a flop. Reichenstein checked, Malec bet 600,000, and Reichenstein called. The turn of saw Malec make it 1.2m. Reichenstein called. The river saw Malec move all in for 9.6m! Reichenstein had the biggest decision he'd been put to for some time to make and the German was clearly under a huge amount of pressure. After Malec had twice tried to hero call the tournament over in his favour, would Uri Reichenstein be of the same mindset? He would! The call doubles up Malec and the Polish player now has 24 million chips. 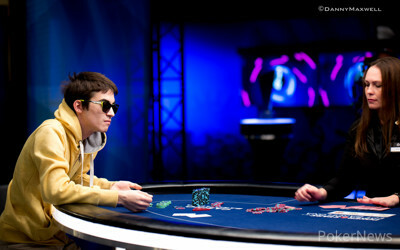 Sebastian Malec is right back in this EPT Main Event! Hand #165 - Reichenstein flatted a raise with pocket queens, while Malec held six-five offsuit. The board brought two aces and a king and got checked down. Reichenstein won with his pair. Hand #166 - Reichenstein raised and took it. Hand #167 - Malec raised with and Reichenstein defended . The flop was and Malec bet 1,100,000. Reichenstein called. The turn gave Reichenstein a pair and he checked. Malec made a circle around his chips, then bet a hefty 5,000,000. Reichenstein contemplated for two minutes, then shoved all in for 18,650,000! Malec, having nothing to show for, quickly folded. The on the turn was a blank and Malec checked. Reichenstein, with his two pair, bet 2,700,000. Malec, with his overcard and gutshot, called the 2,700,000 on the turn as well. The river blanked for Malec, giving Reichenstein the winner. Malec checked, prompting a 6,800,000 valuebet from Reichenstein. Malec went deep in the tank, removing his sunglasses and switched back to his regular glasses. Once again, Malec spent minutes talking to himself, glossing over all the hands he could beat with a possible hero call. After nearly four minutes of thought, he sloppily smashed his chips into the middle to call the bet. Reichenstein showed his two pair to take a big lead. With the newest level starting, Polish player Sebastian Malec has the chip lead. Can the self-proclaimed EPT fanboy carve his name into history? Hand #159: Sebastian Malec raised to 1,100,000 with and Uri Reichenstein called with . Malec flopped top pair on and continued with 2,500,000. Reichenstein called the bet. The turn was the and Reichenstein checked. Malec now bet 5,000,000 and got a fast fold from Reichenstein. Hand #160: Reichenstein raised to 1,250,000 with and Malec defended . The flop gave Reichenstein middle pair and he took it down with a bet. Hand #161: Reichenstein got a walk. Hand #162: Reichenstein raised to 1,000,000 with and Malec defended . Malec flopped a flush draw on and led out, followed by a quick fold. Hand #163: Malec raised to 1,000,000 with and Reichenstein defended . Both flopped nothing on , and Malec took it down with a bet. Hand #164: Reichenstein raised to 1,250,000 with and Malec quickly three-bet to 5,000,000 with . Reichenstein folded. Who Will Become The 2016 PokerStars.es EPT 13 Barcelona Main Event Champion?